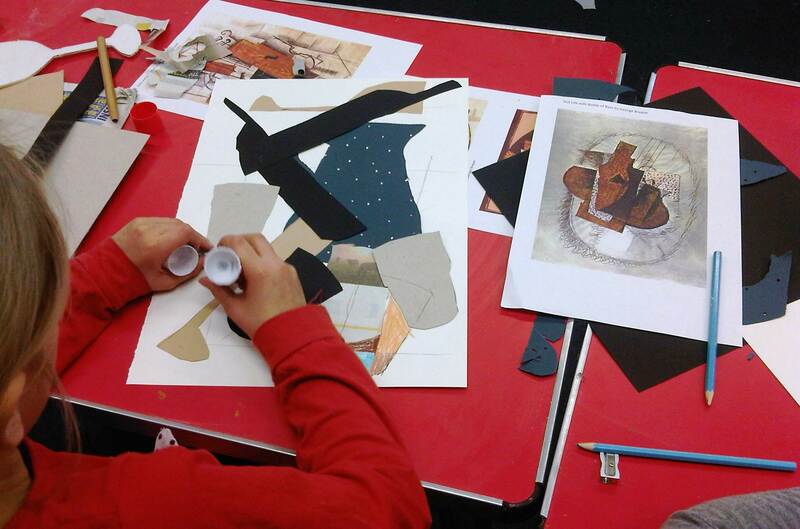 KS2 children really enjoyed creating these collages inspired by Braque and Picasso’s cubist paintings. 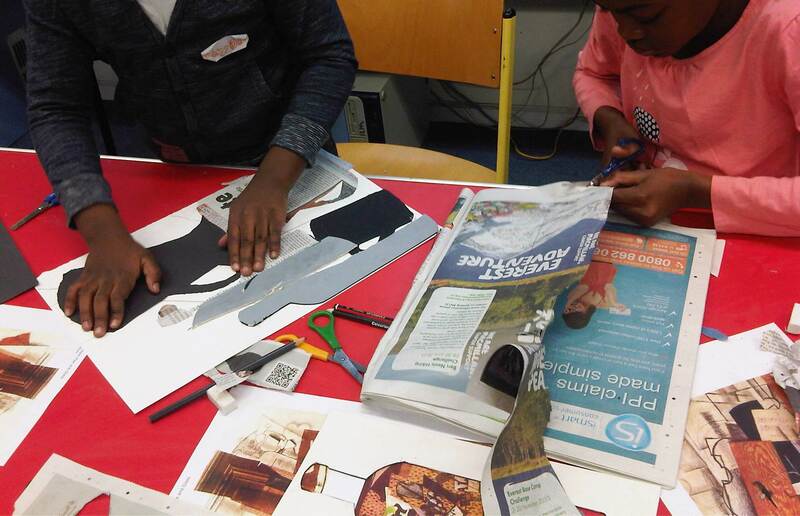 I provided cardboard cut outs of everyday objects, a range of papers and newspapers along with oil pastels, coloured pencils, scissors and rulers. 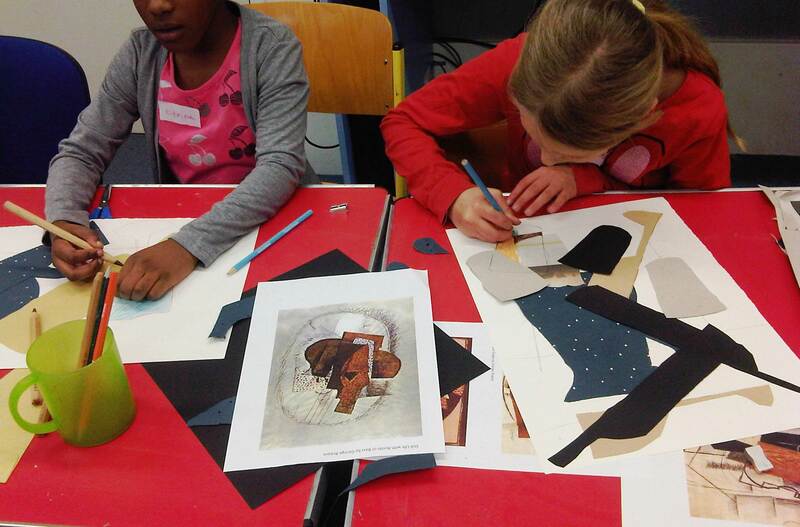 The children drew around the shapes and cut them out, cutting some of them into sections. They spent some time arranging them on the page and then glued them down once they were happy with their creation. They went on to use the cut outs and rulers to draw additional shapes and lines on top.